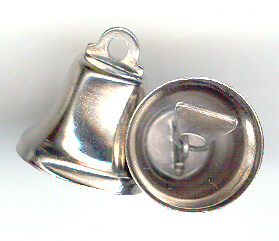 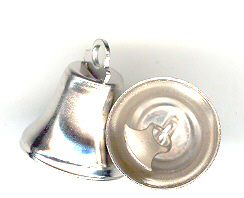 A Jingle Bell or Sleigh Bell has a distinctive 'jingly' sound if tied in large quantities. 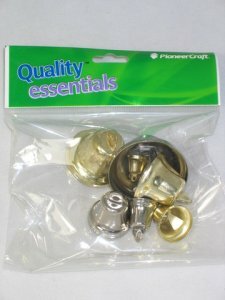 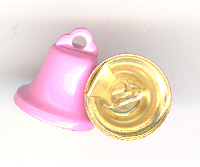 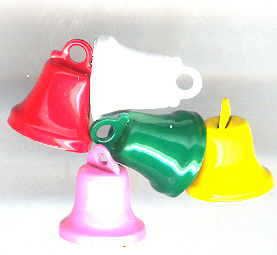 They are cheaper than the classic or True Bell and often used as a percussion instrument. 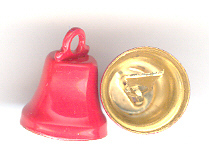 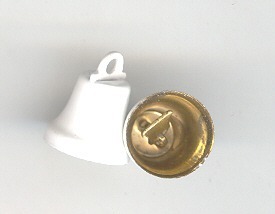 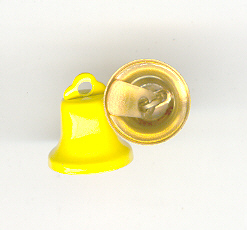 The Jingle Bell has a cut-out shape whereas the True Bell has an open end and makes a ringing sound rather than a jingle.